A few weeks ago I played "Freeze" with Bella, a friend's 4 year-old. You snarl and growl and wave your arms around, and make it look like you're a monster attacking her. Suddenly she throws out a magic potion and yells "FREEZE!" and of course, you have to freeze in place. Then she can turn you into something nice, or run away. Every so often we would reverse roles. Nursery rhymes and childhood games make more sense than what is happening in Northeastern Japan. All the king's horses and all the king's men can't put Fukushima together again. There is a mass slaughter going on. Poison gas. Poison water. Poison soil. Poison insects. Poison pigeons. Poison fruits and vegetables. Poison cattle. Fukushima is leaking like a sieve -- 400 tons of highly poisonous water a day is being stored, but 300 tons more are being contaminated and pour into the ocean each day. And the worst that could happen is probably STILL yet to come, and in fact, appears to be virtually unstoppable. A forced complete abandonment of the site to its fate. That would be a global catastrophe of unprecedented proportions. And it's a distinct possibility at any moment. That mustn't happen before the spent fuel pools have ALL been emptied of fuel, and that waste put somewhere much, much safer -- but there's no such thing as "safe." There's only "safer." And "retrievable" so we can go back and get what we left some place that, as expected, couldn't last 250,000 years. Forever, in Biblical terms. Retrievable, hardened, dry storage. Something so expensive NO reactor could stay economically feasible if they had to pay for implementing it -- and something that's still not perfect, but is much better than what the nuclear industry has been doing so far. Hardened dry cask storage would be way better than what's going on at Fukushima. If the entire Fukushima site becomes unapproachable before the pools are emptied, there will be massive radiation releases when the pool water burns off, a few days or at most a few weeks after abandonment. So let's say an earthquake floods the area as dozens or even hundreds of these leaky tanks spill all their highly radioactive contents very close to the reactors. Would that be cause for abandonment? Quite possibly that alone could do it. If one of the corium blobs reaches a pool of water -- or ice -- it could explode, spreading gamma-radiation-emitting pieces of raw nuclear fuel all over a widespread area -- several miles or more, plus fallout from vaporized pieces. Gamma rays are so powerful they'll bounce off and throughout the atmosphere in great zig-zagging arcs and enough of them will come back down to earth (about half of them, actually) that the area will be uninhabitable (it's called "groundshine" in the nuclear industry). Gamma rays cut right through any radiation protection suit that can ever be built. And when they cut through a human they barely even slow down. Humans are lightweight stuff for a gamma ray. There's not a single nuke plant in the world that can't become essentially the same sort of mess in a heartbeat. Fukushima will inevitably be repeated if we don't shut down our nuclear power plants. They are a tragically failed concept. There is no permanent solution to the nuclear waste problem and there never can be -- and it's an oxymoron to even suggest there could be such a thing! Knowledgeable scientists know it's like suggesting that there are "perpetual motion" machines or "free energy" (oh the letters I'll get on that one...). But truly, since ionizing radiation by definition can destroy any molecular structure it encounters, radioactivity invariably destroys any container you put a radioactive substance in. So you "isolate" it instead -- that's what's called a "solution." It usually involves tribal jurisdictions -- as well as massive bribes, loans, and subsidies to entice a community to accept the waste. And that's the low-level stuff. High level waste like spent fuel? Sits at the site where it's produced. This is domestic terrorism! It sets up a bomb for ANY terrorist to release! What utter madness! Stop making this stuff, and move what we have to somewhere safe! However, permanent isolation on a thin, active biosphere with over 7 billion people is impossible. There is nowhere safe. A Japanese professor put it something like this, shortly after Fukushima: "Would you build a mansion without a toilet? That's what the nuclear industry has done: Created an industry that produces waste with no waste solution. And if you did build such a mansion, how long would you expect to live there before your mansion, however fancy it started out, would become nothing but a sewer?" Society has lived in the sewer of the nuclear industry long enough! The only answer is to shut down ALL the reactors (including the military ones) as quickly as possible or we'll destroy this planet, because every nuclear accident not only destroys the area where it happens, it destroys the whole planet just a little bit more. We've had a lot of little bits of destruction of the planet since the nuclear age began: Islands destroyed or made uninhabitable in the Pacific, Chernobyl, Hanford, Mayak, Sellafield, Santa Susana, Three Mile Island... but Fukushima is the worst. Worse than Chernobyl. Worse than all the atomic bomb testing and weapons use combined. Worse than your older brother's week-old socks. Fukushima is getting worse, and nobody can go in and fix it. Instead, they are thinking about freezing it in place: Freezing the ground under the entire massive plant, and all around it, so that water that flows past it to the sea will not become so badly contaminated. The frozen earth will be the barrier. Like an upside down cement containment dome made of ice. It sounds crazy and it might be. But then again, it might work -- for a while. If they decide to do it, they won't even start for two years. And -- if it even can be done -- they'll need a lot of help doing it, and it will take a lot of energy to maintain. So much for nuclear power's claim to be able to help stop global warming! What small amounts of fresh water we have on this planet, nuclear power poisons! Assuming they don't have to abandon the site, they'll continue to build thousands more storage tanks for contaminated water at Fukushima, each one storing three or four days' worth of poisoned water, tanks not adequately constructed and not meant to last. Tanks that are already leaking and will continue to leak, especially in an earthquake. The construction work at Fukushima is controlled by the Japanese "mafia," who even contract out to other country's crime syndicates to acquire workers to throw into the mill. People with paperwork, fraudulent or not, that "proves" they have not been irradiated too severely by the nuclear industry thus far in their lives, will work for a pittance, and will sign away their rights to sue their employer later. The poorer the country they come from, the better. It's modern-day trench warfare where the enemy is an invisible atom that can go anywhere and hide anywhere. Undetectable by human senses except at very high doses (which the workers at Fukushima would get if they didn't wear heavy radiation protection boots and suits), this is a war mankind brought on itself and is losing badly. It's a war we'll bring on again somewhere, and who wants that? This is NOT an isolated incident! Fukushima is the worst in a long line of nuclear industry failures and if we don't shut down the nuclear power plants, it absolutely, definitely, without question, won't be the last. TEPCO, the operator of Fukushima, is really the Japanese government in corporate form. And TEPCO hasn't got a clue about what to do. Right now they are asking ANY international team that has good ideas to come help -- help suggest something affordable. Is nuclear power "too cheap to meter" as they once claimed, or too expensive and too risky to consider? Fukushima is falling apart. In America four reactors (Kewaunee, Crystal River, SanO Units 2 and 3) have closed permanently this year because they could not be maintained or repaired cost-effectively, and a fifth reactor (Vermont Yankee) announced a few days ago that it will close at the end of next year. But there are 99 others. At least half a dozen additional reactors that were part of a planned nuclear "revival" a few years back have instead been canceled, and the few that remain in construction are over budget and face stiff hurdles to completion. Fukushima is a powerful warning of what a nuclear reactor can do. One bad day can ruin a perfect record, and often has. TEPCO was the largest utility in the world, but is now completely out of money and ideas, and desperately short on human labor resources most of all. ALL the spent fuel pools at Fukushima must be emptied immediately -- but not just into dry casks. The casks need to be placed in an unpopulated area, in heavily fortified, earthquake-resistant "tombs" far away from tsunamis and earthquakes, volcanoes, landslides, cave-ins, glaciers (I guess that's not likely to be a problem), asteroids, war, vermin and stupid people. 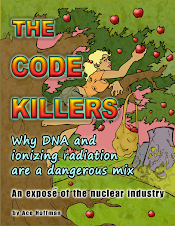 If anyone in the American Nuclear Regulatory Commission, or any of the 200,000+ employees of the U.S. nuclear industry have any bright ideas for how to fix Fukushima, they have chosen not to speak out and make sure those idea happen. Perhaps they are afraid of being labeled a whistleblower to say Fukushima needs our help and we don't know what to do. That means we wouldn't know what to do here, either, in similar circumstances. No sane human should have ANY confidence in the nuclear industry by now. History should not be allowed to repeat itself. Tomorrow, my 36th wedding anniversary, I have to take my wife to the hospital to have her right breast removed as deep as the doctor dares to cut. I appreciate everyone's prayers and good wishes, but I'm sure we all realize that there are millions of people who are going to suffer the same sort of fate if the work those who read documents like this fails. Humanity MUST stop nuclear power. Women must do it, or they'll get breast cancer like my wife has. Men must do it, or they'll get, among other things, bladder cancer (like I had 6 years ago). Children must do it, or they won't grow up to be old enough to think 56 -- my wife's age -- is too young for cancer. I was barely in my 50s and the doctors said the bleeding probably wasn't cancer because of my age. They were wrong. They said the same thing about my wife at first, and were wrong then, too. How did that happen? In her case, apparently, they didn't check for cancer cells the first few times we brought her in! They only checked for infection! Go figure. We should have brought her in sooner and been more insistent. My wife and I -- we are the canaries in the coal mines. We are the walking dead with a message from the grave. We are the future of the human race if the species doesn't wise up. What has happened to us is happening to a lot of people these days. We all need to clean the environment. Shut down ALL NUCLEAR REACTORS!! !